Man's Best Friend came along in 1993 from New Line Cinema, which is the same company that Freddy Krueger kept afloat for many years. Instead of another sequel to that franchise, we got a brand new horror flick with a bit of comedy in the canine department called Man's Best Friend. This is a tragic and at times, funny story about a dog named Max who was being experimented on by scientists, but then rescued by a tv reporter. Little does this tv reporter know that Max is so much more than the new family pet, but something much more deadly. There is a brand new 1080p HD transfer and a new DTS-HD MA 5.1 audio mix with this release. Bonus features only include a dry and very short commentary track from the director. It's not exactly a great release, but for those who loved this movie in the early 90s, it's finally here. Worth A Look. Looking for a new, bold horror movie for New Line Cinema in 1993, John Lafia (Child's Play 2), pitched a story that mixed a Cujo-like dog with new technological advances. From some of the promo artwork, you'd think this was a Terminator movie, but instead of Arnold Schwarzenegger running amok, it's a dog out in the open wreaking havoc with Ally Sheedy (Breakfast Club) and Lance Henricksen (Alien). 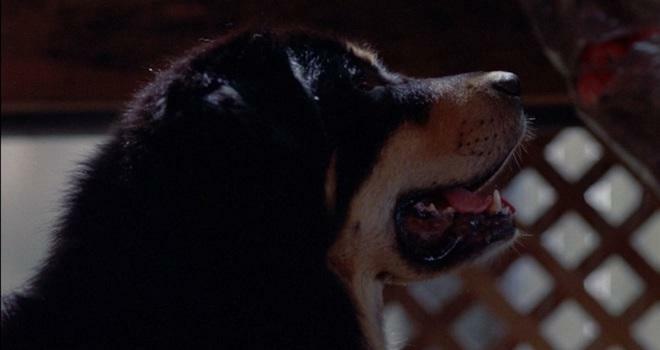 Man's Best Friend actually follows a news reporter named Lori (Ally Sheedy), who sneaks into a science lab with her cameraperson to investigate a story about this lab sadistically testing out experiments on animals. In fact, the start of 28 Days Later comes to mind here. Lori is caught, but she escapes along with a dog named Max. Once free and on the run, Max and Lori form a bond, but little does Lori know that Max wants to be the only one in Lori's life and sabotages her relationships, but it all seems justified since Lori surrounds herself with seemingly terrible people. Meanwhile, the head doctor of the science lab Dr. Jarret (Henricksen), is trying to tell law enforcement that this dog named Max is a multi-million dollar experiment that has been injected with multiple DNA strands from other animals, giving him special abilities of said species. Side effects include super violent dog outbursts, which comes out full force on a deserved mailman and other humans. It's difficult to tell what Lafia was trying to convey here, whether this poor dog is supposed to be an evil monster or are we supposed to feel sympathy for this torturous life? In my opinion, we see an otherwise sweet dog who has been subjected to torture his whole life and by way of injections, acts out not because he wants to, but because something inside his DNA forces him to do this. 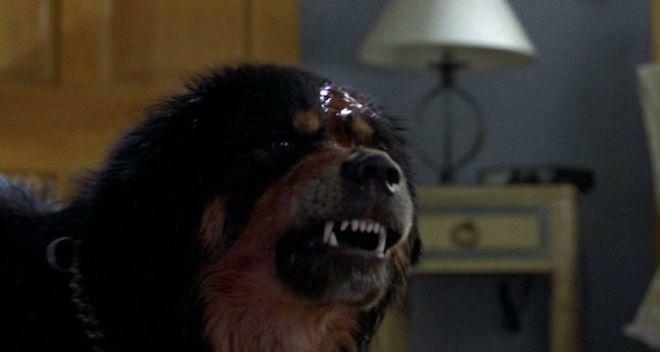 The unfortunate fact is that we cheer on the carnage this dog lays out, because everyone he comes across, minus Ally Sheedy, is super abusive, some of which is difficult to watch on screen, but plays out in a silly way due to the music score and some of the funny practical effects for the early 1990s. So to see this special dog get vengeance on those who attack him or treat him badly doesn't make him the villain, but rather the anti-hero, and I don't think Lafia conveyed that aspect all too well. Man's Best Friend doesn't hold up too much over the past 25 years, but it has some good moments here and there. Most dog movies nowadays are heroic and emotional, but every once in a while, it's nice to see something so different and bizarre, which is where this film comes in, even if it has flaws. 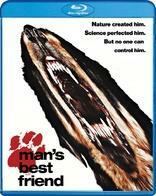 Man's Best Friend comes with a 50GB Blu-ray Disc from Scream Factory. 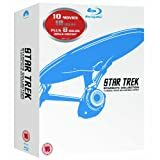 The disc is housed in a hard, blue plastic case. There is no cardboard sleeve, but the cover art is reversible. There is no digital download or copy. Man's Best Friend features a 1080p HD transfer and is presented in a 1.85:1 aspect ratio. According to Scream Factory, this image is from a new 2K scan of the original film elements, which look good, but not excellent. Detail is sharper, and colors are bolder, but there are a few issues here and there. There is a decent layer of film grain, which fluctuate on the heavy side in a couple of scenes, mainly in lower lit scenes. Other than that, the image is stable. Colors look rich in certain spots too, particularly during daytime exterior scenes. The scene with the mailman shows his blueish gray uniform along with the green grass on the ground, which is a nice contrast. There are deep reds for blood and gore as well, which all look nice. The black levels are deep without any crush. Detail looks good too with practical effects of muscles and facial tissue on the injuries of Max. These, of course, look fake with the new 2K scan, but you can see the latex and plastic look. Makeup blemishes and individual hairs on the dogs, as well as the human characters all, look decent. There are a few instances of debris and scratches, but otherwise, the image looks good. Man's Best Friend comes with a lossless DTS-HD MA 5.1 mix that is mostly front-heavy, but still manages to have a few surround noises from time to time. 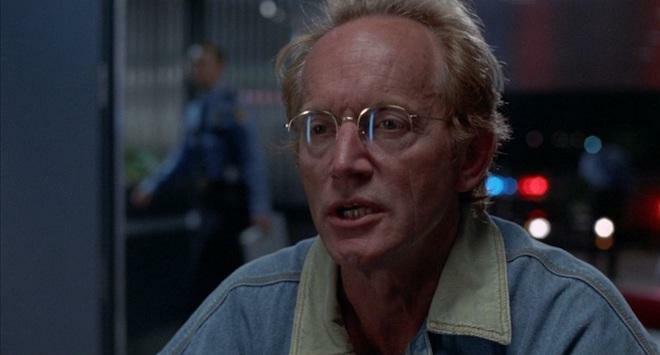 The bigger sound effects happen in the heavier action sequences, including an escape from the science lab where animals and other security measures are happening. Some of the animal noises can be heard in the rear speakers and Max's bark and grown packs a bit of bass to it, which makes it more menacing. The music score is mostly silly, but can add elements of suspense too. Dialogue is clear and easy to follow along with, and free of any pops, cracks, hiss, and shrills. This is pretty bare bones with only an audio commentary track from the director, which is dry and not that informative. He doesn't talk much through the film either. Other than that, just a couple of trailers for the film. Audio Commentary - Director John Lafia delivers a bland yet barely informative commentary track here. In the entire run time of the film he only talks for about 10 minutes so there are very big gaps in between him talking, and when he does, it's not about much. Trailers (HD, 4 Mins.) - A trailer and some TV spots for the movie. Man's Best Friend shows a different movie in its promo artwork than it does in its actual story. Time hasn't been kind to the overall message here, but for the early 1990s, it was nice to see a different kind of dog film than they usual Disney flair we always see. The new video transfer looks good and the audio track sounds just fine. There is only one bonus feature being a director's commentary, but there isn't much information and he only talks for about 10 minutes through the entire film. Still, this is a lost gem and is Worth A Look.